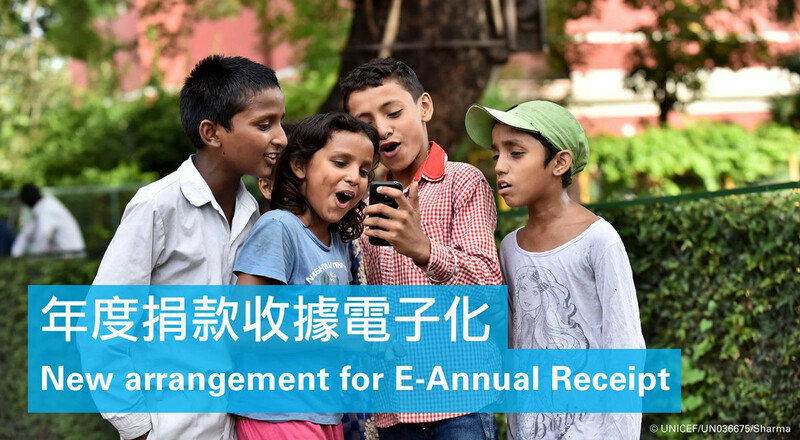 Hong Kong Committee for UNICEF (UNICEF HK) will issue the Annual Donation Receipt for 2017-2018 to our monthly donors this April to record your annual contributions over the past year and report UNICEF’s global achievements. Electronic – Annual Donation Receipt will be issued by e-mail this year. If you have not received your Annual Donation Receipt on or before April 25, 2018, please contact us at [email protected] or call 2833 6139. On behalf of every child, we thank you for your support!